On 27th September at 11:15 at the State Library of Victoria, I am very excited to be presenting on the Panel: Telling and Selling Indian Australian Stories, with Jasmeet Kaur Sahi, Amit Sarwal and Michelle Linder. 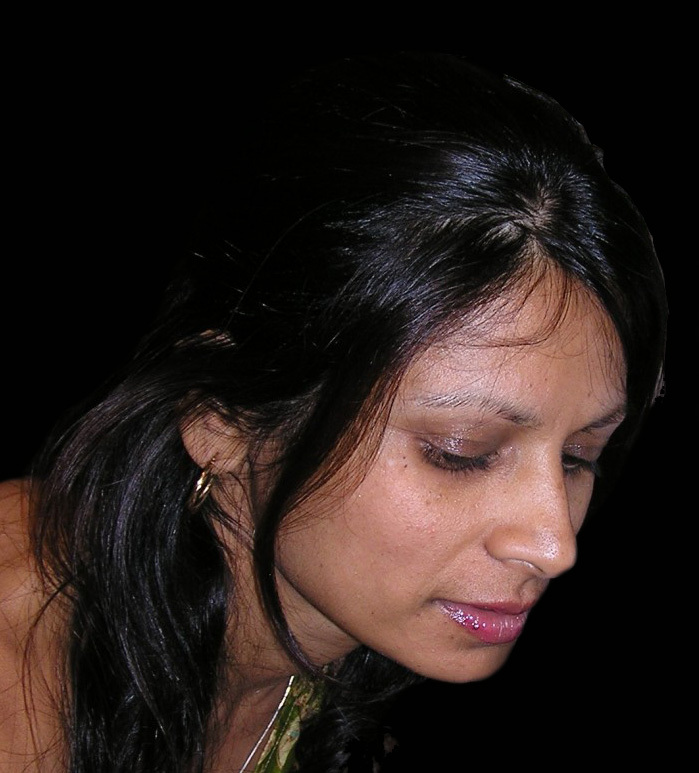 Moderator is Sukhmani Khorana. 1. 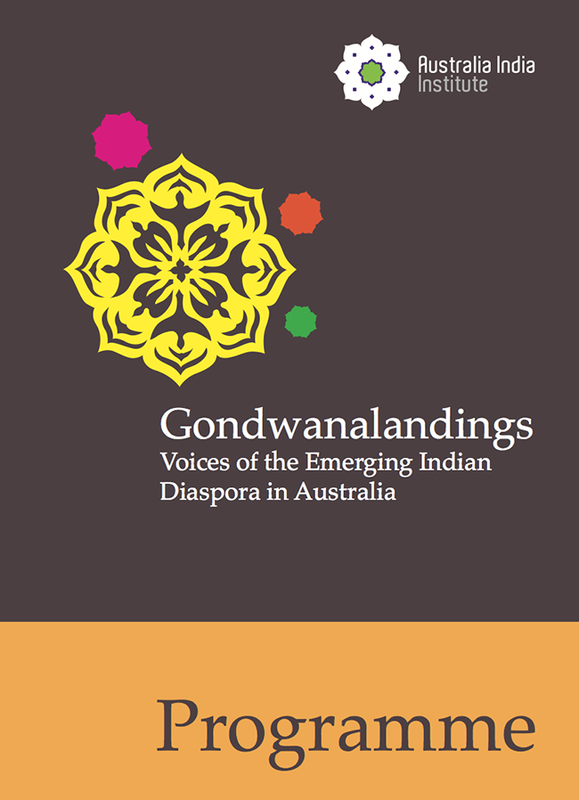 Mapping the history of Indian-Australians, and bringing the social-cultural as well as political issues faced by the vast array of people of Indian origin living in Australia to the discussion table. 2. Showcasing Indian-Australian artistic talent and facilitating arts policy to include more Indian-Australian voices in the mainstream. 3. Sharing research and stories that shed light on the benefits of inter-cultural dialogue, and hurdles encountered in facilitating the same. Plenaries and panels cover critical, community and creative perspectives. The event will also cover themes related to Critical Perspectives on Gender and Migration, Indian-Australian Literature in the Asian Century and Diasporic media and film beyond Bollywood. For more information on the symposium lead up, including background information on the project, click here. 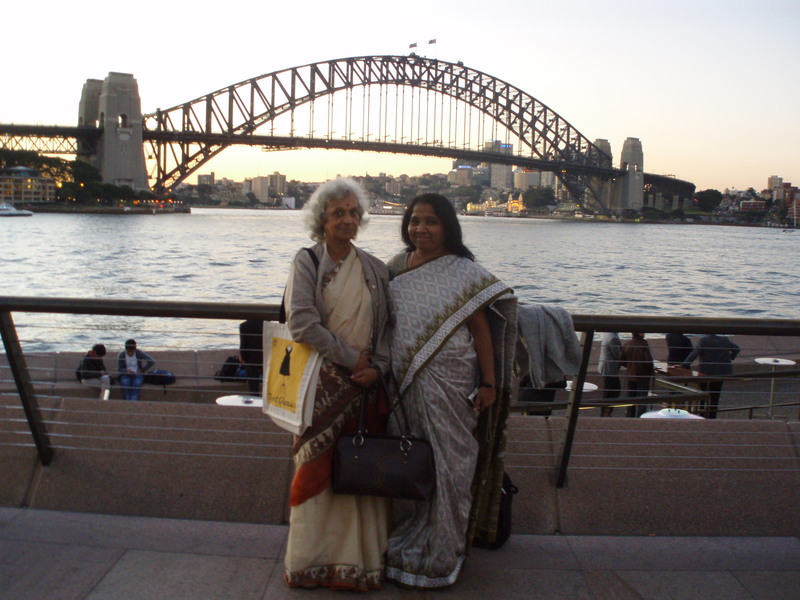 Australia-India Literatures International Forum a resounding success! The Australia-India Literatures International Forum held at the State Library of NSW from 4 – 6 September, as promised, generated ‘lively discussions from passionate speakers’. AILIF was officially opened by the Consul-General of India in Sydney, Mr Arun Kumar Goel and it brought together readers, writers, translators, editors, agents and publishers from Australia and the Indian subcontinent. 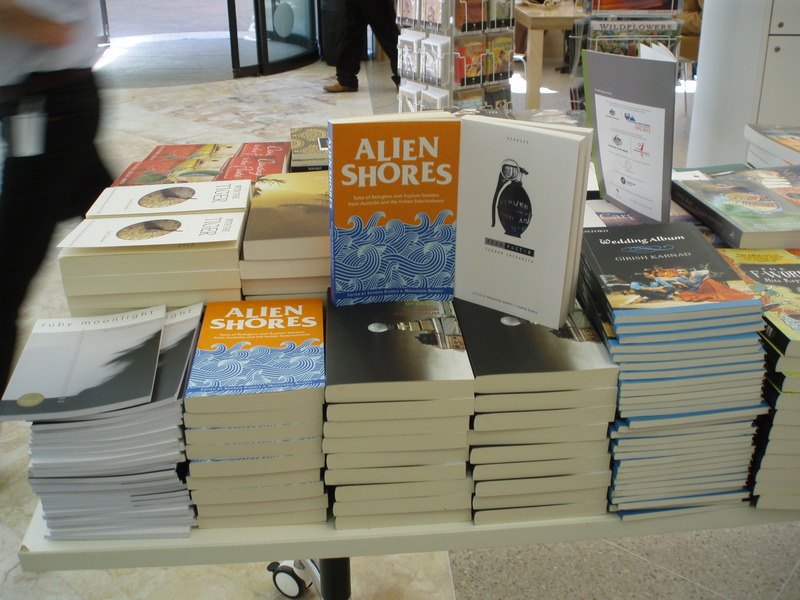 “Alien Shores” and “Fear Factor Terror Incognito” in the State Library NSW book shop! Christopher Cyrill, Manisha Jolie Amin, Roanna Gonsalves, Aashish Kaul, Chris Raja and Kunal Sharma. 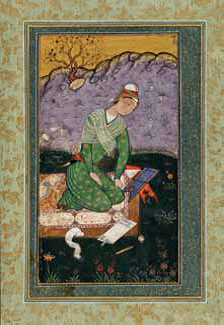 Mahmood Farooqui skilfully demonstrated Dastangoi, the revival of the art of telling Dastans or epic stories of adventure, magic and warfare by reciting or reading aloud. Sudesh Mishra and Vijay Mishra explored the creativity of Indians who were brought to sugar cane plantations in Fiji as indentured labour in the late nineteenth-century. Prabodh Parikh presented Art and the Writer: Rabindranath Tagore’s 2000 paintings. Seven panels over the three days discussed motivation to write; the struggle against injustice and inequality; the importance of local languages and dialects; alienation from land, animals and tradition; storytelling as protest; the important role that writers have in telling the truth; the power of myth and legend in writing and storytelling. Mamang Dai, Inez Baranay, Subhash Jaireth, Girish Karnad, Malcolm Knox, Manisha Jolie Amin, Roanna Gonsalves, Bem Le Hunte, Michelle de Kretser, Suneeta Peres da Costa, N S Madhavan, Uday Prakash, Christopher Raja, Aashish Kaul and Kunal Sharma spoke about crossing borders, a sense of place, dislocation, the home of the imagination, place as a construct, ‘fossilised memory’, ‘rearranged identity’, ‘languages as legitimisation’ and ‘what is Indian anyway’? Highlights included: gut-wrenching poems by Ali Cobby Eckermann, from her collection little bit long time, which left the audience stunned and lingered on in the mind. Alexis Wright bringing to our attention the importance of ancient lore, the voice of the Elders, temporal rather than linear stories, before reading from Carpentaria. Gogu Shyamala, Dalit feminist and Telangana activist. C S Lakshmi (Ambai), feminist and activist, who revealed her take on the world and her experiences with wit and humour. All of which helped to create a deeper understanding of the challenges regularly encountered. Award winning poets Judith Beveridge, Michelle Cahill, Kynpham Sing Nongkynrih and Prabodh Parikh spoke about the poetic imagination and treated the audience to their strong and subversive poems. The final panel session of editors, translators and publishers explained the practical hurdles of publishing books in regional languages and in finding skilled translators; as well as the responsibility of editing and publishing stories in localised variations of english in literature. Kabita Dhara, publisher at Brass Monkey Books Australia, Ivor Indyk from Giramondo Press, Mita Kapur author and CEO of Siyahi, R Sivapriya Managing Editor of Translations and Classics Penguin Books India and Sharon Rundle who has co-edited Indo-Australian books for Picador (Australia, India) and Brass Monkey Books emphasised the importance of publishing transnational writing and translations. The State Library NSW book shop stocked books by the various speakers, including ‘Alien Shores’ and ‘Fear Factor Terror Incognito’. It was quite a thrill to see them on display there. Huge congratulations to the organisers, Mridula Nath Chakraborty and Anthony Uhlmann Director of the University of Western Sydney Writing and research Centre; and the State Library of NSW, for this essential and welcome initiative. AILIF was supported by the Australian Government through the Australia-India Council and the Australia Council; Copyright Agency Ltd Cultural Fund; Australia India Institute; State Library of NSW; The Taj Foundation. A full report is published in the current issue of The Indian Herald. Don’t miss this very special event! This exciting forum will generate lively discussions from passionate speakers. An event of such potential and ambition has not been undertaken in this region before. 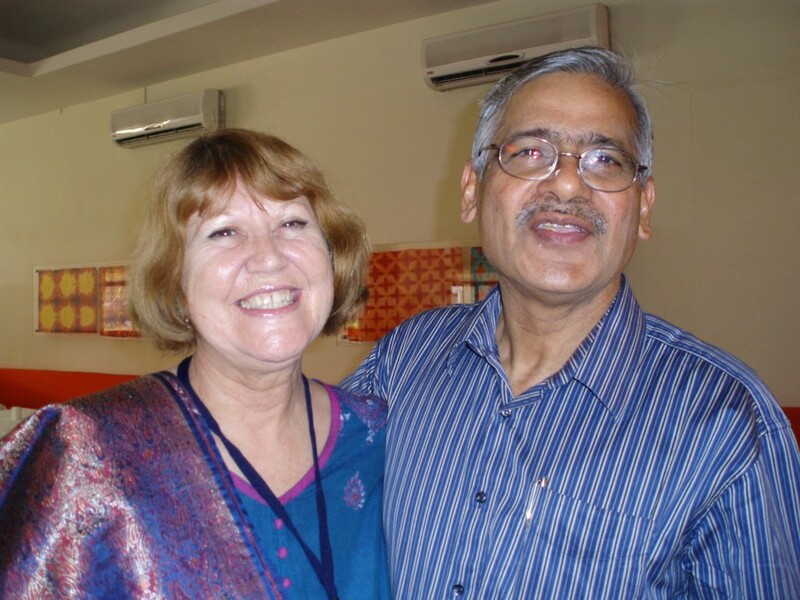 regional literatures of India with indigenous and multicultural writers of Australia. presentations, which are all open to the public to attend. Each panel comprises Australian and Indian delegates, who will make a short presentation each, followed by audience discussion moderated by the Chair. with performance, art and indenture. The word Dastangoi refers to the art of storytelling; it is a compound of two Persian words Dastan and goi that means to tell a story. Travelling languages/evolving cultures across the Pacific Ocean. free-flowing conversation explores the subject of indenture/girmitiya and creativity. The first non-European Nobel Laureate, Rabindranath Tagore, was also a self-taught artist who started painting at age 67. Within 15 years, Tagore had completed over 3000 paintings, which have since become part of India’s national treasure. Forum Panellists include: Alexis Wright, Sharan Kumar Limbale, Gogu Shyamala, Ali Cobby Eckermann, Inez Baranay, Mamang Dai, Bem le Hunte, C S Lakshmi (Ambai), Subhash Jaireth, Nicholas Jose, Girish Karnad, Malcolm Knox, Suneeta Peres da Costa, Michelle de Kretser, N S Madhavan, Uday Prakash, Manisha Jolie Amin, Roanna Gonsalves, Aashish Kaul, Chris Raja and Kunal Sharma, Kabita Dhara, Ivor Indyk, Mita Kapur, R Sivapriya and Sharon Rundle. Panel Chairs: Peter Minter, Christopher Cyrill, Vijay Mishra, Paul Sharrad, Mita Kapur, Pam Newton, Ivor Indyk, Michael Wilding and R Sivapriya. Fun for all the family. 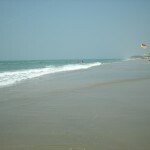 Dance, Music, Masti – Food Stalls, Kid’s Rides, Camel Rides and many more activities. 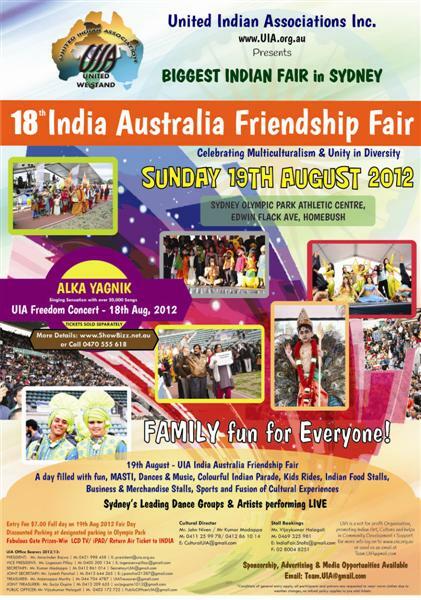 Come along and join the Indian community for a family fun day. Special Big Issue of the Indian Herald will be published on August 18 and distributed at the Indian Australian Friendship Fair 2012 on August 19. 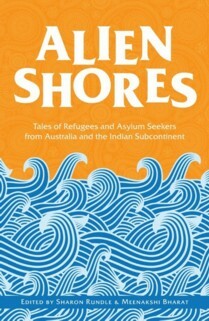 Alien Shores tales of Refugees and Asylum Seekers is featured in a two-page spread. Thanks, Rohit Revo (Editor) it’s much appreciated. Australian Writers Guild award winning script. Yet to Ascertain the Nature of the Crime was mainly constructed using the actual words of many Indian students who were attacked in Melbourne, education agents, counsellors, other Indian Australians, even a couple of young men who hold white supremacist views. Using humour, music and a bit of Bollywood dancing, the play presents a nuanced view of the attacks, and provides a space in which the actual words of the victims can be heard. The play had audiences laughing loudly as well as sobbing throughout the performance, and was a sell-out last year. Roanna dedicated the award to the Indian students who were killed, namely Nitin Garg and Tosha Thakkar, and all Indian students who have experienced physical and verbal attacks in Australia. Yet to Ascertain the Nature of the Crime has been invited to perform at Mumbai’s renowned Kala Ghoda festival in 2012. They are looking for sponsors to help them get to Mumbai. Roanna is a graduate of the UTS Writing program, is currently doing a PhD at UNSW, and is also working on a television documentary with director Ana Tiwary of indiVisual films about Indian students in Australia, a play for Bell Shakespeare’s Mind’s Eye Initiative with director Susanna Dowling, and a novel set in India. 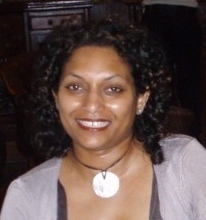 Roanna is also featured in the Spring issue of UTS Writers Alumni Writers Connect. Please also see Roanna’s radio documentary Doosra,the Life and Times of an Indian student in Australia which was broadcast on ABC Radio National in February and Curry Muncher, a short story, published in Eureka Street. Abdul is a University of Technology Sydney Graduate and a member of the UTS Writers’ Alumni. Originally from Afghanistan, he is now an Australian and volunteers at Villawood where he is an active advocate for refugees. The Australian government insists that many Afghan asylum seekers are not in need of protection, and can be forced to return. Most Afghans seeking refuge in Australia are from Hazara communities. 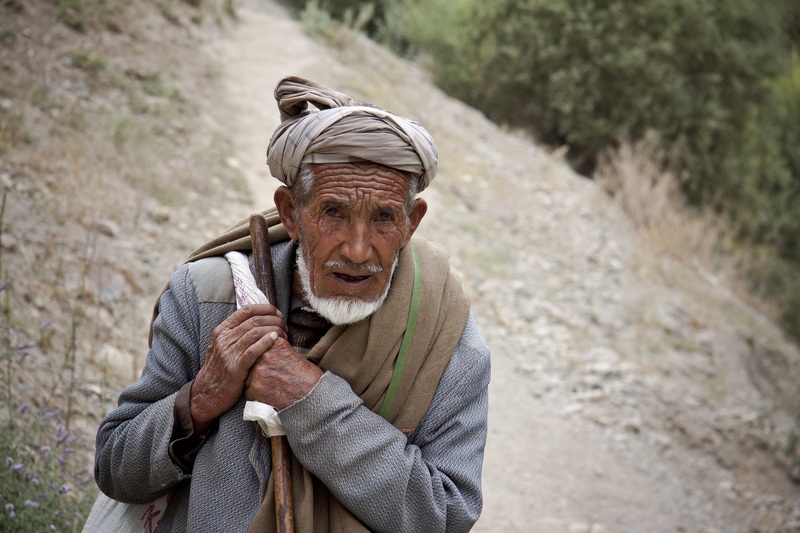 What is life like for Hazaras in Afghanistan – is it a safe haven? Abdul Karim Hekmat, a UTS graduate and former refugee from Afghanistan, documents his journey to the Hazara regions in 2010. His pictures of daily life and continuing persecution, offer a profound insight into the humanity and the personal suffering of the Afghan people. Be sure to drop in and view Abdul’s photographic exhibition. Reading Vishvarūpa is like opening a jewel-box of many faceted gems. From the shimmering ‘Rainy Days’ of melaleucas and gumnuts to the sharply observed ‘Ode to Mumbai’; from Aphrodite and Narcissus to Hanuman and Vayu; from an ‘Alchemy of leaves’ to ‘Kissing Hamlet’ the poetry is sensory “The air’s thick with jasmine, agapanthus lingering like incense in the still eveing” (Triptych of Wings), sometimes sensual “The moon’s crescent tangled my hair, my breasts were bare, our timing synchronised” (‘Pārvatī in Darlinghurst) and always satisfying. “Can there be any Australian poet who has entered with such lyrical depth into the intermingling voices of Australia and India?” Chris Wallace-Crabbe. “Michelle Cahill’s verse is controlled with a deep vein of feeling running beneath the measured lines … her poetry rises on a ‘burning ladder of language’”. Keki N Daruwalla. The perfect book for a journey or a winter’s night at home. 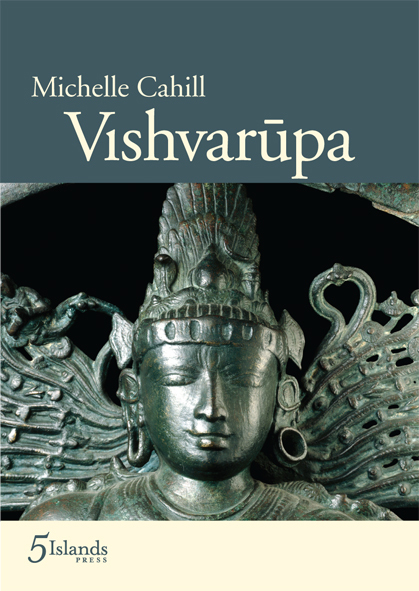 For a sequence of her poems Michelle Cahill received the Val Vallis Award. Michelle is editor of Mascara Literary Review. News from ChilOut is that the government has just announced the release of 62% of the children into community-based detention. The government is to be congratulated on their more humane stance but that still leaves more than 300 children in locked detention. While I am glad to hear that many children are now in community-based detention, the children not yet released are important too. I truly feel both the government and the opposition have been losing their way completely with all the hysteria about refugees and asylum seekers. Having been overseas recently (Africa, India and Europe) and having family living overseas, I’ve seen how they cope with far greater numbers there, I am so ashamed at the way we treat refugees here. Surely the hysteria here is partly fuelled by the fact that refugees are locked away so people don’t get to see or meet them and so it is so much easier to portray them as some kind of aliens. Good on Dr Michael Dudley, Rosie Scott, Ngareta Rossell, ChilOut and others for putting so much time and effort into doing something against the odds. Rosie Scott is one of our award winning and treasured Australian authors and gives her own time and money to supporting refugees and trying to raise the level of consciousness and debate through advocacy, direct action and her writing. 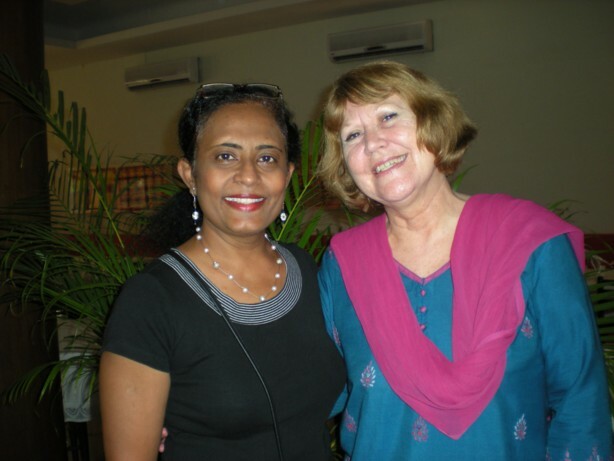 She is one of the Australian authors who contributed to ‘Fear Factor Terror Incognito”, a collection of stories from India and Australia published by Picador Australia and Picador India, which I co-edited with Meenakshi Bharat. 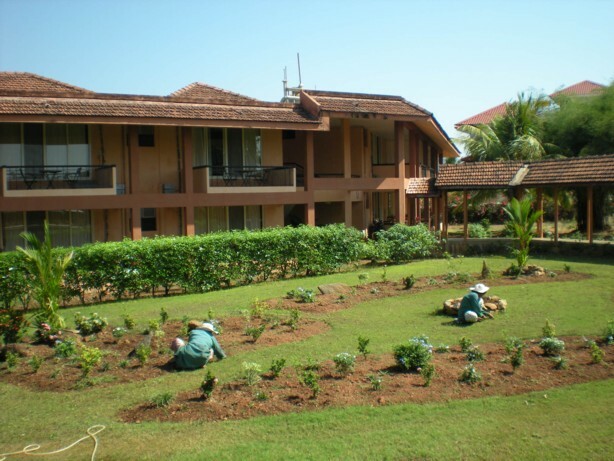 International Centre Goa, venue for the IASA Goa 2010 Conference and our accommodation during the conference. 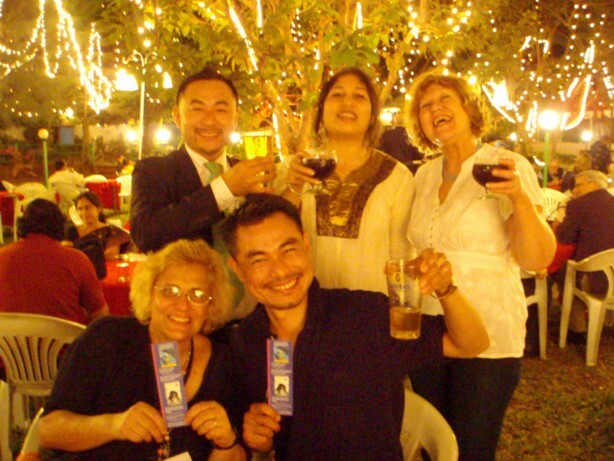 The lush green countryside in Goa with its ubiquitous and essential palm trees, the golden sandy beaches on the Arabian Sea, the busy town of Donna Paula, a river cruise, nights lit up by fairy lights, lots of singing and dancing formed the backdrop for the IASA conference. 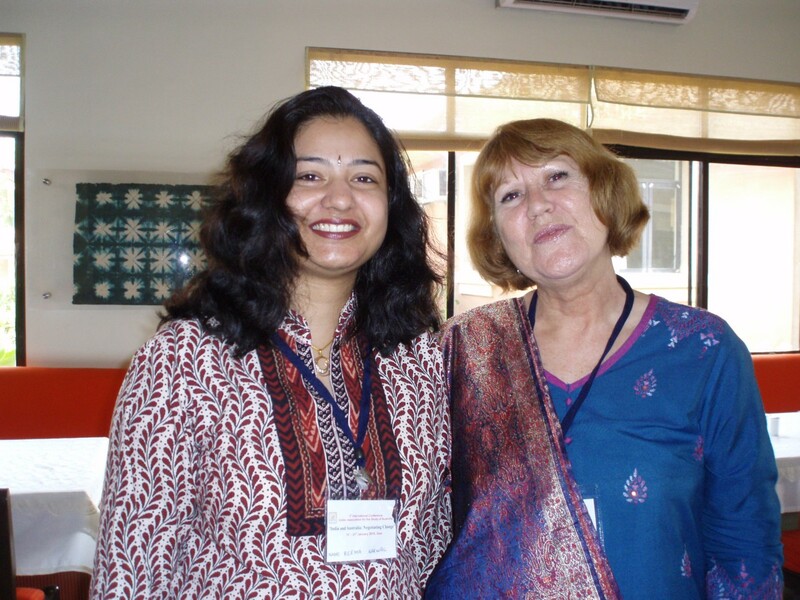 The warm and delightful Aruna from University of Adelaide in Goa. The best part of the conference was meeting so many people from all states of India and Australia. 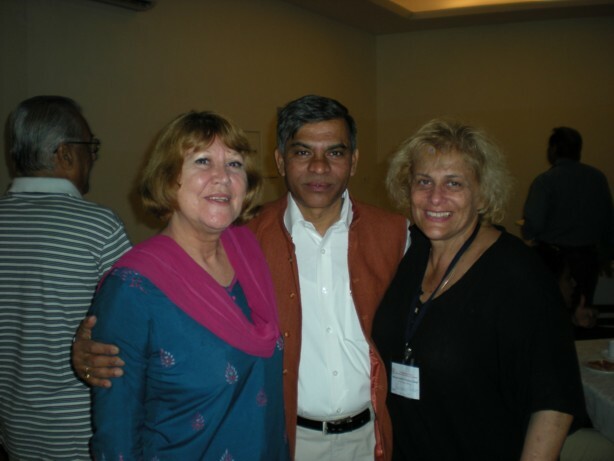 I enjoyed such stimulating conversations about every topic imaginable; exchanged information and ideas; and became better acquainted with other participants in India and Australia, which was without a doubt the highlight of the five-day conference for me. of Australia and Australian literature both past and contemporary by those who presented the best papers. At the Inaugural Session held at the University of Goa, Professor Santosh K Sareen, President of IASA gave a welcome address, this was followed by an introduction to the conference by Professor Darvesh Gopal, General-Secretary of IASA. Dr Lachlan Strahan, the Australian Deputy High Commissioner for India addressed the audience on behalf of the Australian High Commission about these connections as well as the differences and challenges facing both India and Australia. AIC Board Member, Professor of English at the University of Queensland, author and editor of a number of books on life narrative, Australian literature and Australian Studies, Professor Gillian Whitlock, addr essed the audience on behalf of the Australia India Council (AIC) and told us of developments, plans and goals for the future. We all lamented the news that Professor Bruce Bennett was not able to attend and wish him well. 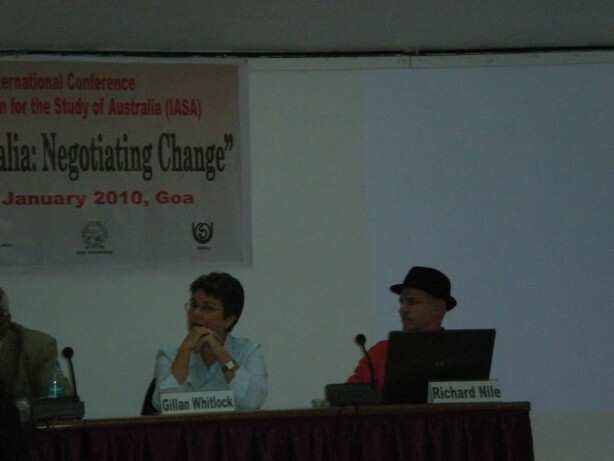 Dr Nina Caldeira gave a vote of thanks and we then moved on to the Conference Dinner at ‘A Lua’ Lawns, Meces-Goa. Before leaving for the dinner I caught up with Santosh and Darvesh, as well as Heather Neate and Asha Das from the AIC. At ‘A Lua’ I surprised myself by dancing under the stars and fairy lights. The very professional person singing turned out to be the talented Dr Yanthan, one of the conference delegates who presented a paper. More very talented and professional performers were among the researchers from the North East of India, Renembo, Mridusmita and Irene. I am not talented at either singing or dancing and was reluctant to display my ineptitude but the company was very persuasive and I ended up having the time of my life, dancing to the fantastic music by the band and the impromptu performers. I discovered that young Indian men can really rock, especially those from the Punjab. I’m told that ‘Punjabi Rocks!’; though those from the North East and Delhi moved just as well to music ranging from Kenny Rodgers to Elvis to Bollywood. Even some of the more courageous professors joined in the dancing. There was no doubt that everyone on the dance floor was having the ‘time of their lives’. And that was only the first day – more later about my two weeks with authors, editors, academics, friends and colleagues in India—the writing, reading, walks, talks, music, dancing, cinema, sight-seeing, dining, socialising, presenting, discussions and book launches. Write the music you hear, whether it is in your mind, broadcast on the radio, playing on a CD, music from a film, or even singing. Music can alter one’s mood. Try writing to different styles of music, vary the tempo and beat. It is not writing about the music but the sound – what you hear, where it takes you, how it makes you feel. Write to music regularly and try reaching for the metaphysical. For Pre-orders and special offers! From the Picador Australia (Pan Macmillan) webpage: “A unique collaboration between Australia and India, the stories represent these writers’ protests against the phenomenon of modern terror. They do not offer solutions. Instead, they lead readers along the hidden paths of an unfamiliar psychology to make their own discoveries. MONTHLY LITERARY COLUMN by Tabish Khair in MINT (Mumbai) & The Wall Street Journal. 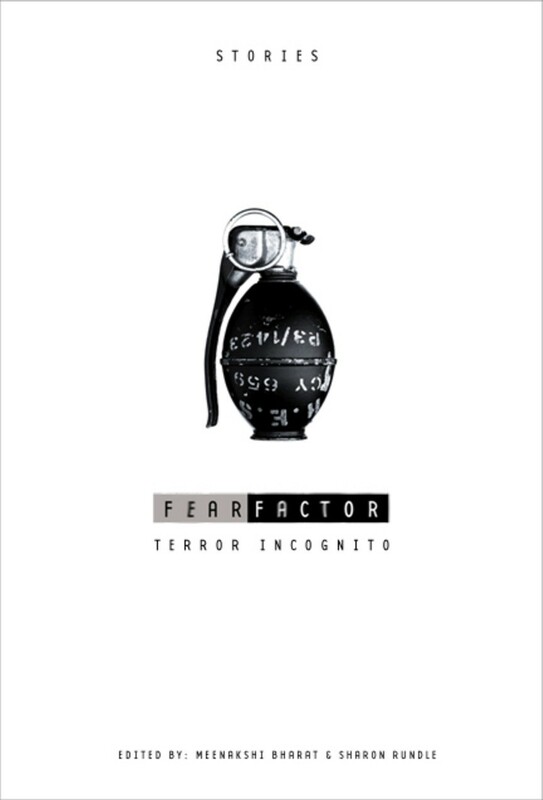 Reserve your copy of Fear Factor Terror Incognito today by pre-ordering at any of the above bookstores online or in-store.